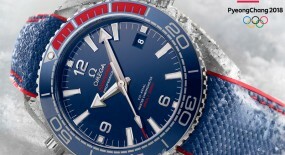 A very special limited edition dubbed the “First Omega Wrist-Chronograph” has just been released by Omega. 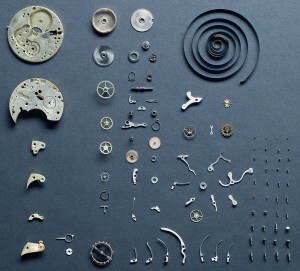 What we have here is a quite unique approach to reissuing historic hundred year old components, back to the market in a novel way. 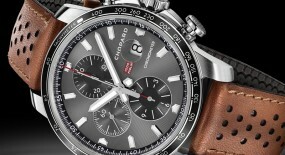 Introducing the highly collectible and limited edition “Omega 18”’CHRO Chronograph”. 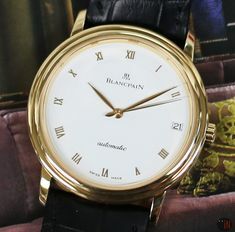 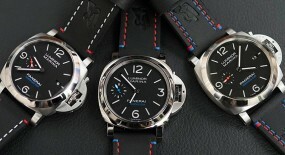 This release differs from previous vintage-inspired timepieces because in essence they are not complete remakes. 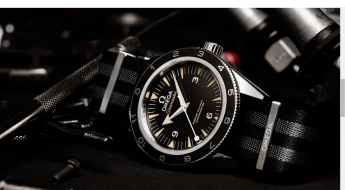 Omega has opted to use actual archival movements that have been stored away at the Omega’s museum vault for over 105 years, to recreate each of these 18 limited edition pieces. 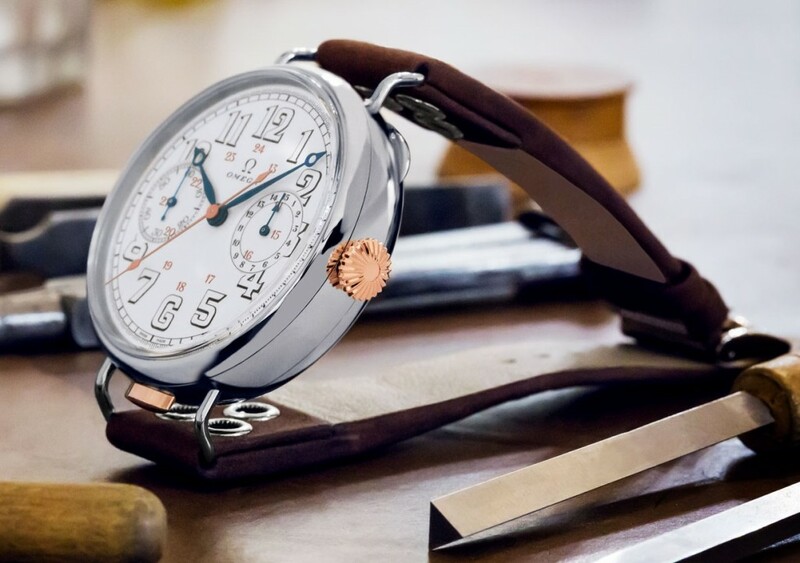 It was way back in 1913, on the verge of what would become “World War I” that Omega introduced their first ever wrist-chronograph. This was thirteen years after already being on the market with pocket-watches, which were the dominant horology form of the times. 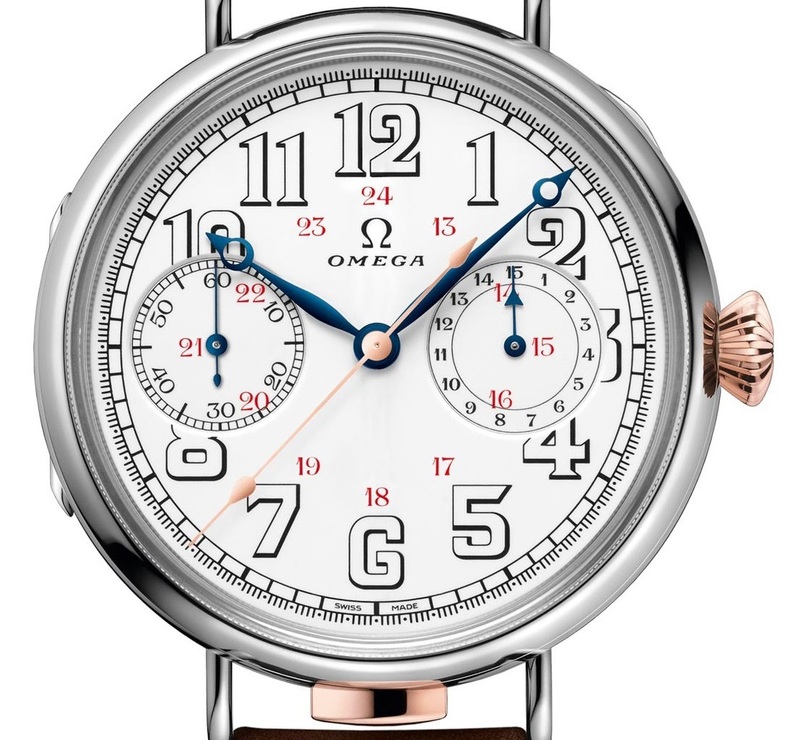 When Omega originally advertised their first chronograph, they did so by appealing to the military factions during the outbreak of “World War I”. 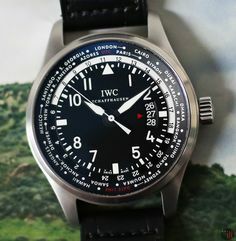 The majority of these watches were delivered to the “Royal Flying Corps” and these pilots, as well as all armed forces in general had a need for telling time without encumbering their hands, hence the origin of the wrist-watch. 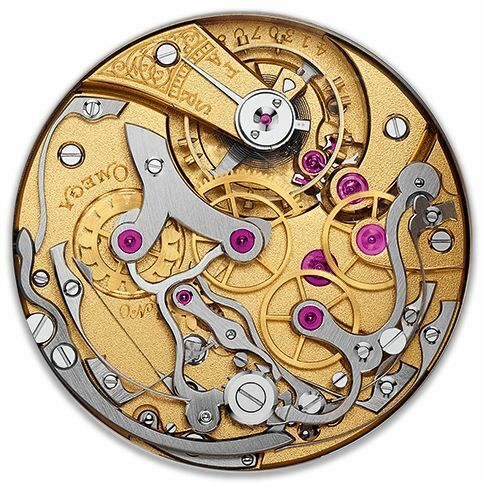 Thanks to the museum curators and the artisan expertise at “Omega’a Atelier Tourbillon”, these century-old movements were able to be restored to their former functional glory. Not at all an easy task, requiring replacement parts, as well as painstaking hours of delicate refinishing to refurbish these hand-wound mechanical movements. 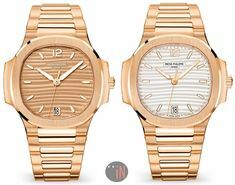 Although this reissue is an almost identical match to the original vintage timepiece that inspired it, in terms of weight and feel we are clearly dealing with a modern watch. 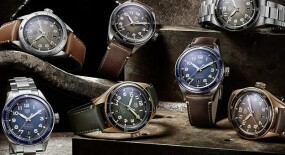 So, you can expect current standards of water-resistance to be met on these newly crafted heritage watches. 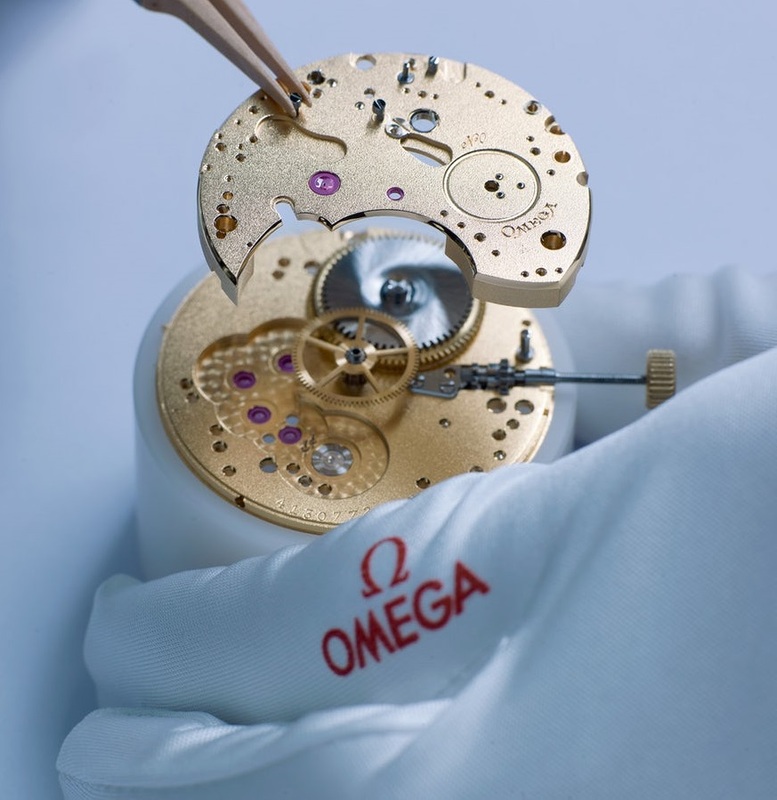 The 47.5mm case is made out of 18k white gold, while the crown and pusher have been crafted out of 18k Sedna™ gold, which is the patented rose gold supplied by Omega. 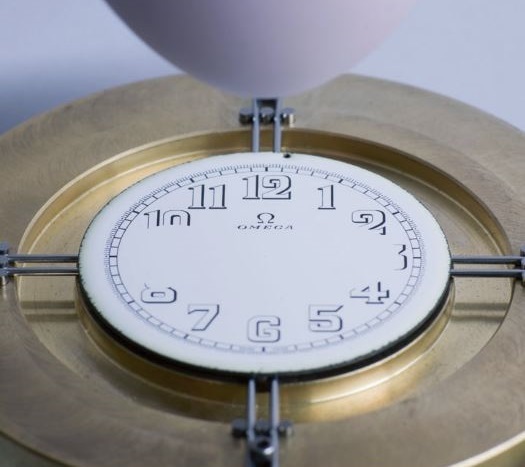 On the flip-side we encounter a hatched case back for this timepiece, which can be flipped open to reveal the mechanical movement behind an exhibition sapphire crystal. 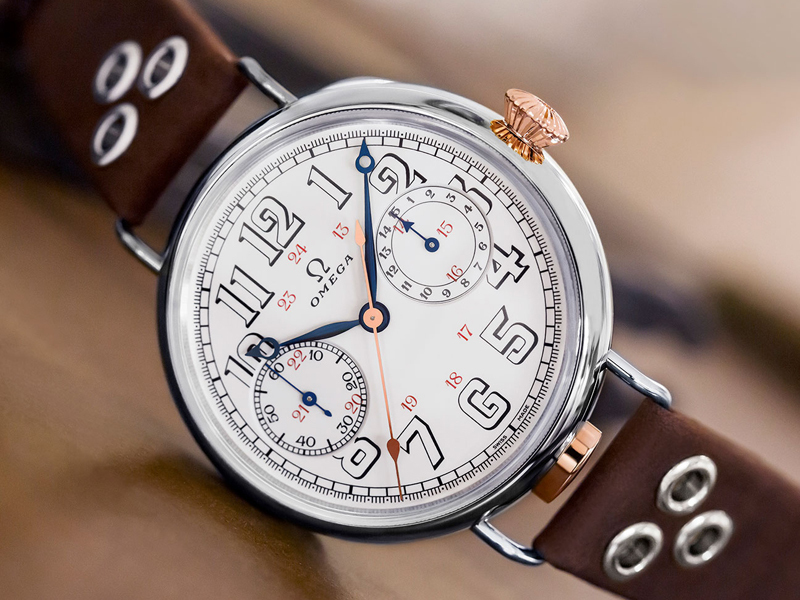 Time is exhibited on a white enamel dial with black outlined hollow Arabic numerals, which was an easy-to-read design popular among aviators during World War I. 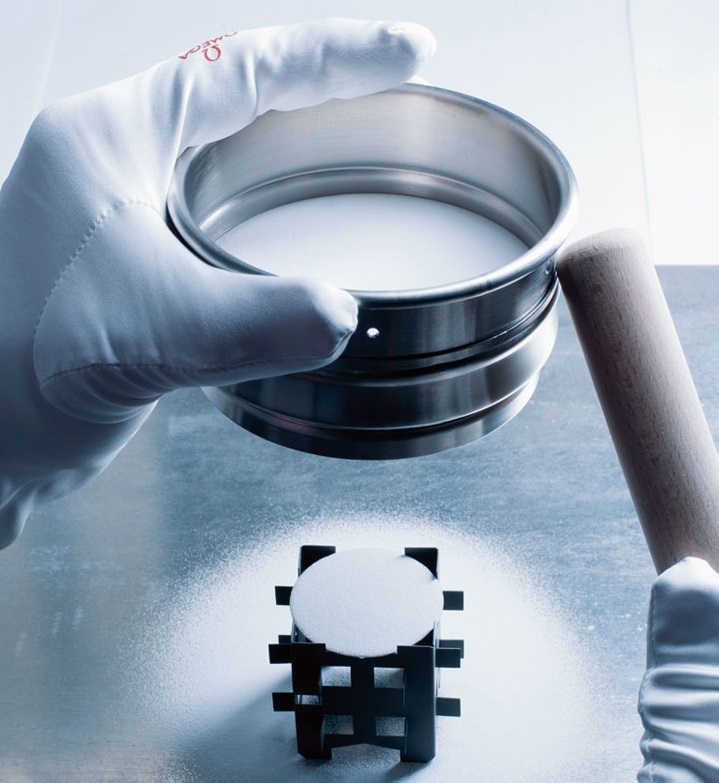 While circling around the flange are a series of black printed minute index markers, followed by further out smaller second index markers to provide an extremely accurate reading. 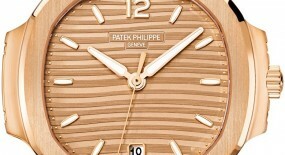 A 24-hour scale can also be seen in red, towards the center portion of the dial in a diamond pattern. 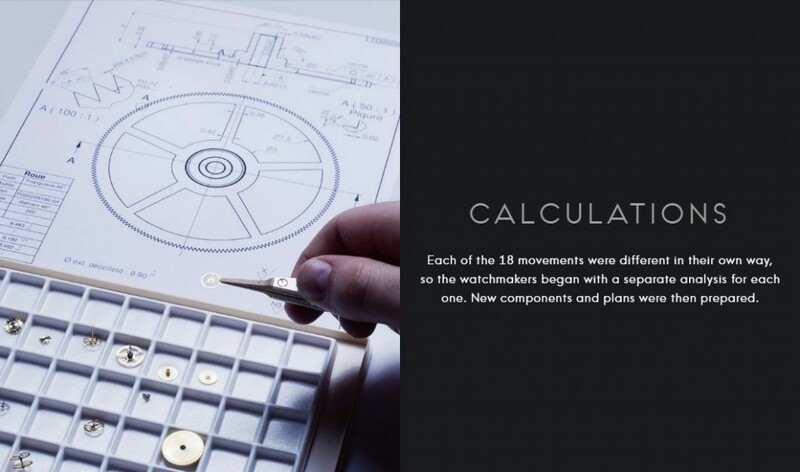 The process to craft this refined dial begins with the dialmaker sifting powered white enamel onto an exclusive metal plate. 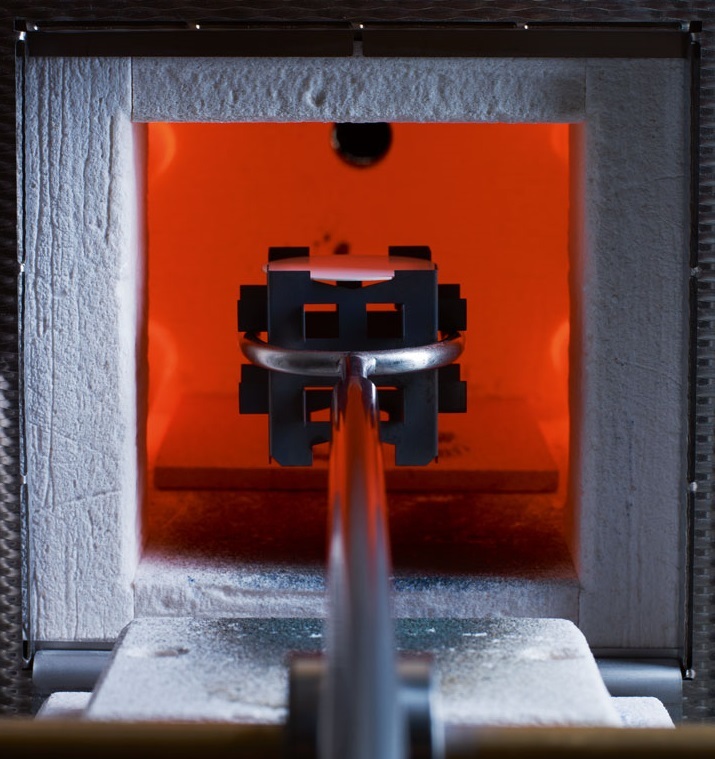 Followed by the “Grand Feu” process of heating the dusted plate in a furnace to bond the enamel. 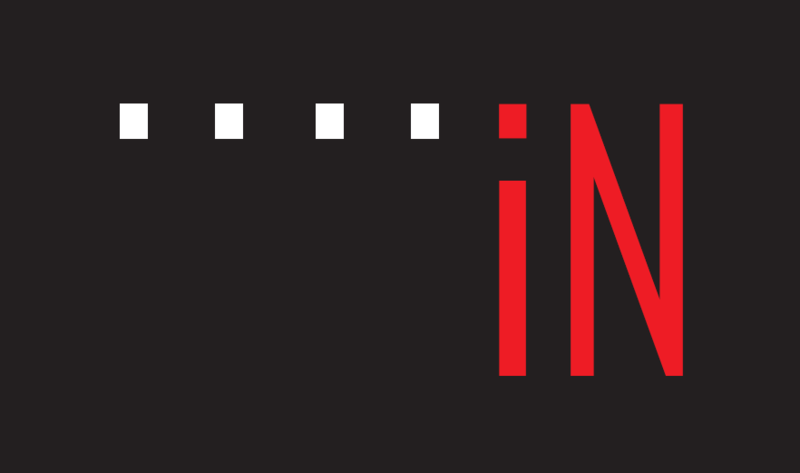 A process that has to be repeated numerous times to achieve the required height. 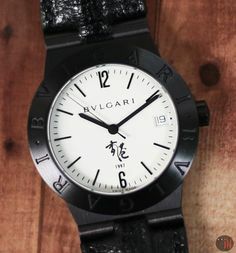 An engraved plate is used to transfer the red and black markings onto the dial, using a special silicone stamp. 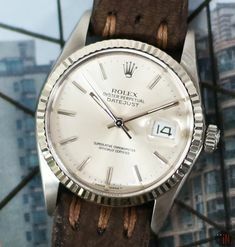 Afterwards the dial is baked again to further solidify the various engravings. 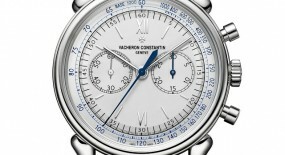 There are also two sub-dials: a 15-minute (monopusher) counter at the 3 o’clock position; and a sub-seconds counter at the 9 o’clock position. 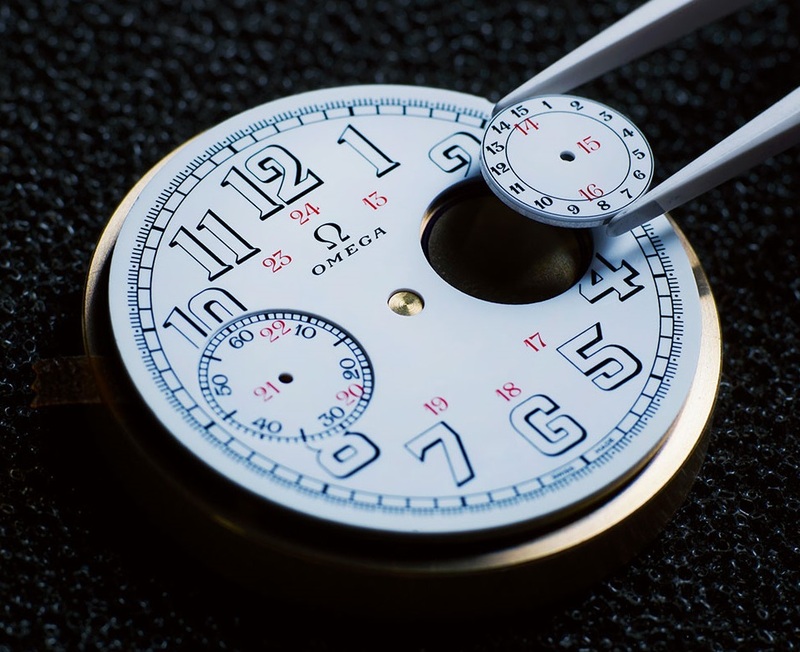 These sub-dial counters were made separately using the same technique as the main enamel dial, while a high-pressure jet of water was used to slice perfect holes in to the main dial. 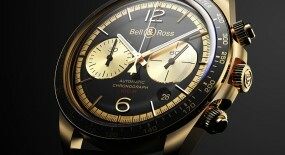 It is also equipped with two central hour, minute hands and an 18k Sedna™ gold chronograph hand. 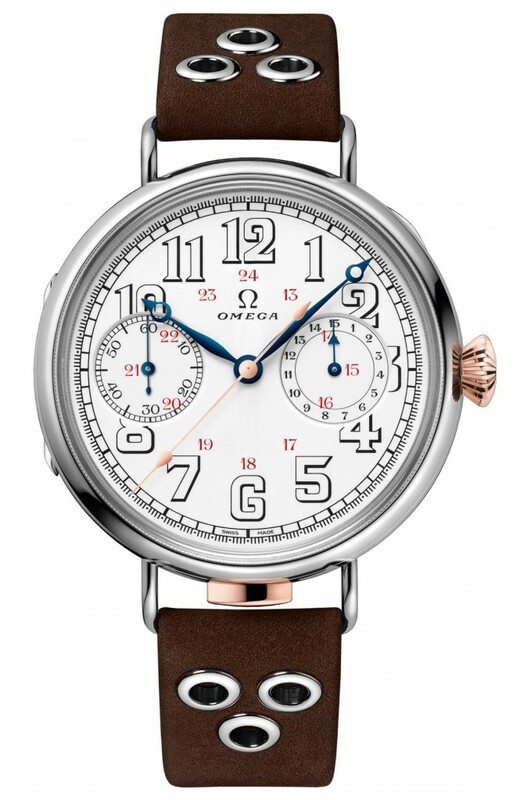 This “Omega 18”’CHRO Chronograph” (Ref: 516.52.48.30.04.001) is powered by a hand-wound mechanical movement, caliber 3018 with 18,000 Vph. 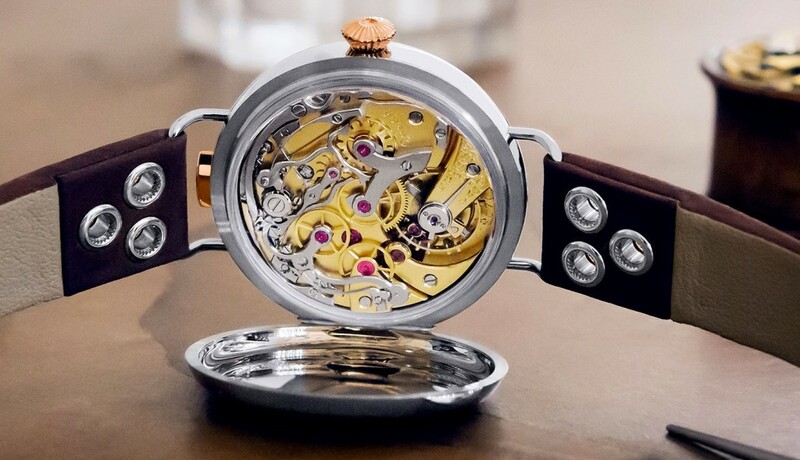 It comes equipped with a Breguet balance spring and a bi-metallic balance wheel; plus its 18k gold-plated main plate and bridges have grained surface decorations, hand-polished bevels and counter sinks. 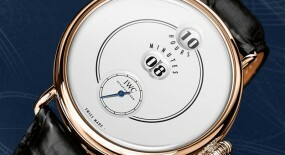 Power reserve on this timepiece can last up to 44 hours, when fully wound. 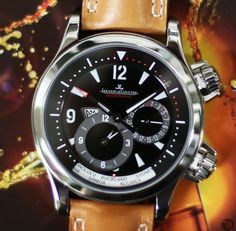 This is a limited edition watch with only 18 manufactured pieces, which comes in a very special leather trunk. 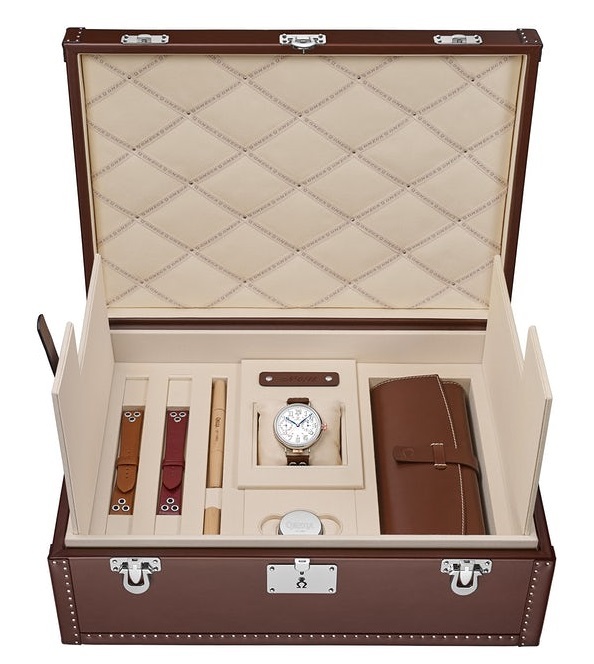 This artisan presentation box includes two additional leather straps in novonappa gold leather and burgundy leather, plus some unique strap-changing tools, a loupe and a travel pouch. 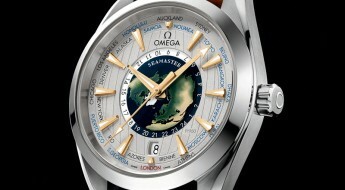 For more up to date information visit the official Omega website here.